We'll have to wait until February for the premiere of Better Call Saul, but eager fans can check out the official Season 1 poster right now. 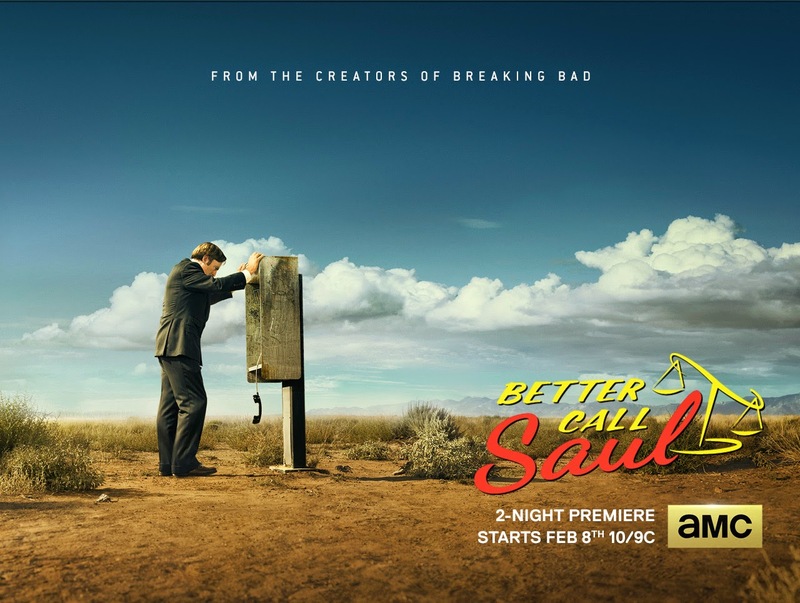 The key art features Saul (Bob Odenkirk) having trouble at a payphone in the desert outside of Albuquerque. Does the future hold better calls for Saul? Tune in for the two-night premiere event on Sunday, February 8 and Monday, February 9 at 10/9c on AMC to find out. To keep up with the latest series updates and interact with other fans, be sure to sign up for the Better Call Saul newsletter, like Better Call Saul on Facebook, and follow Better Call Saul on Twitter.